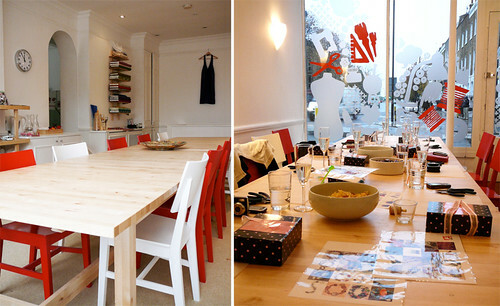 I just adore this little creative space in London (Islington) called The Make Lounge -- isn't it just darling? You can sign up for craft workshops at their studios and meet other groovy crafters like yourself. Then in August, they'll be adding a retail space that will stock fabrics, books and mags, notions, handmade goods, sew kits, patterns, and more. I don't know about you, but I love the idea of shop meets learning space. It's community building and I like that aspect best -- you can get to know those in your city and have fun doing it. I see this as a growing trend in America and parts of Europe, Australia and beyond and hope these types of places just continue to grow especially since more and more women are getting back in touch with using their hands to make things. Sewing, embroidery, knitting, these are all invaluable skills to have and once learned, there is no stopping you from making original one-of-a-kind things that not only are functional but also look beautiful and build your self confidence. Plus, there is a great need for us to get back in touch with our local community. Most of us don't even know our neighbors and that's a bit sad. Retail/Craft spaces like The Make Lounge is a great place to make new friends and to give yourself a little "you" time away from work and home responsibilities, too. Three cheers for that! 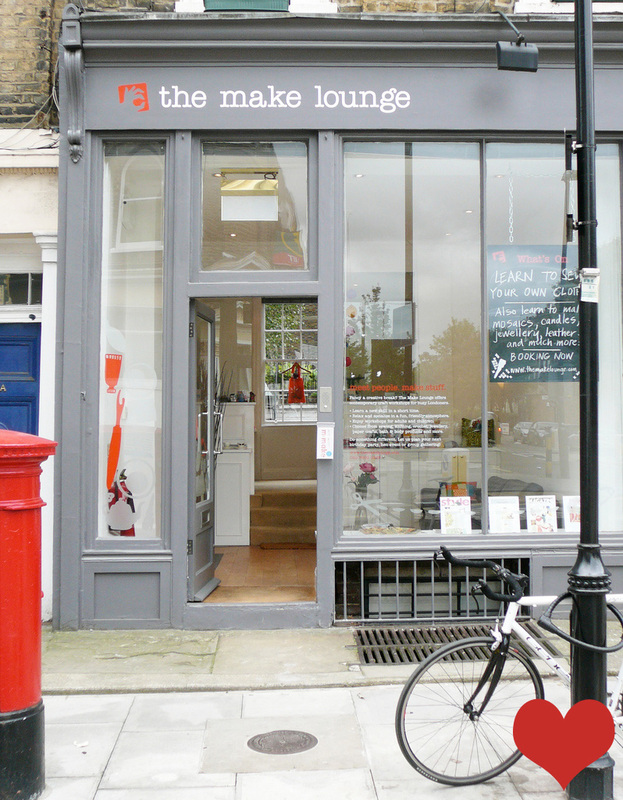 The Make Lounge is located at 49-51 Barnsbury Street, London N1 1TP. Have you ever taken classes at a similar setup in your local city? What was your experience like? Selvedge Store Grand Opening: London!